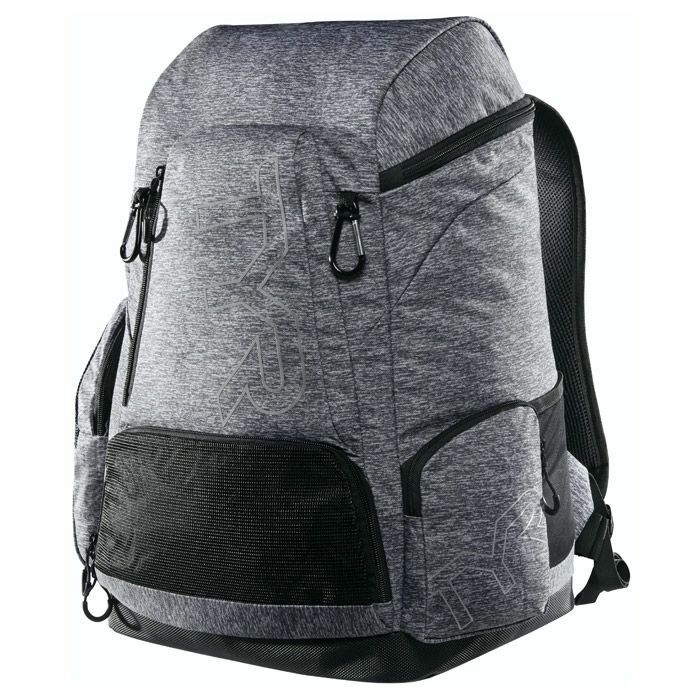 TYR’s Alliance Backpack 45L is a spacious, versatile design with adjustable padded straps and compression moulded lumbar support. Features include a large wet/dry mesh compartment, a handy interior laptop sleeve and mesh water bottle pocket. The adjustable sternum strap incorporates a whistle. An excellent multi-purpose backpack ideal for a wide range of sports and leisure activities. Fabulous styling with a grey print enhanced with black detail.